Our guide in Havana lived in a pre-Castro office building on Moro Calle in Havana Viejo. One morning, I asked her if we could see her apartment. We found her mother at home in a small second floor windowless room lit by a single bare bulb, just large enough for a double bed and some cardboard boxes filled with clothes. A small gas cook stove sat in the corner. The bathroom was located down the hall. The air in the apartment was stagnant, hot and humid. 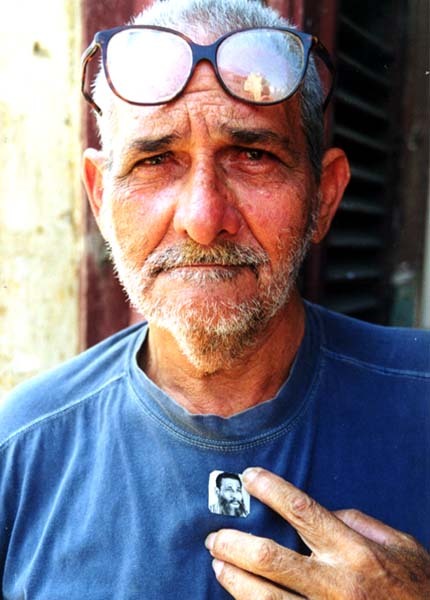 In an outside corner room on the same floor lived an elderly gentleman who believed he was Fidel and produced an old ragged B+W photo to prove his point. I wished that Niurka, our guide, could have had an outside room for both herself and her mother.